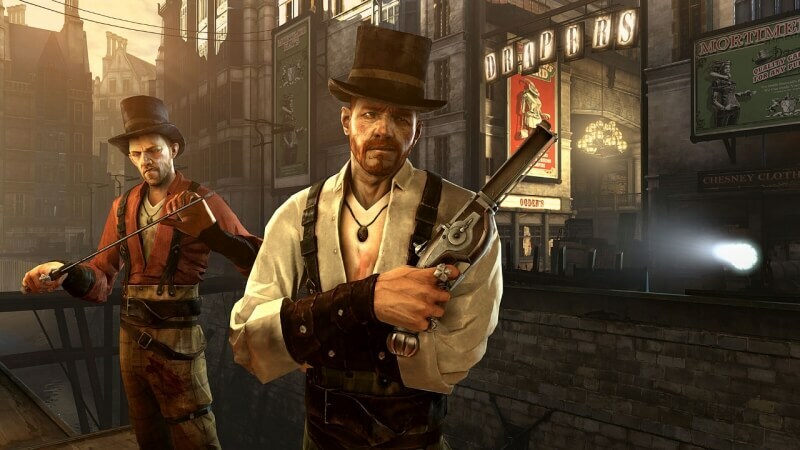 Stealth action-adventure title Dishonored was one of the biggest hits of 2012. Not only is it a stunningly designed game that’s still great fun to play, but it also features voice actors worthy of a Hollywood movie. Now, publisher Bethesda has revealed the highly anticipated sequel’s release date, and it's got another blockbuster cast. Dishonored 2 will arrive on the PC, PlayStation 4, and Xbox One on November 11. It was first unveiled at E3 last year and was originally due to be released this spring, but like so many other games it got pushed back. We still don’t know that much about the sequel, other than it’s set 15 years after the first Dishonored on the island of Serkonos and it will feature two playable characters: original protagonist Corvo Attano and the now grown-up Emily Kaldwin. The multiple ways to approach missions, various abilities, and magic skills will all return in an improved and expanded form. The original Dishonored boasts names such as Susan Sarandon, Lena Headey, Micheal Madsen, and Chloe Grace Moretz, and the second game appears to have been given an equally large budget for hiring acting talent. This time, Daredevil actors Vincent D’Onofrio and Rosario Dawson take on the roles of Luca Abele, the Duke of Serkonos, and the Dreadful Whale Captain Meagan Foster, respectfully. Joining them are Hollywood star Sam Rockwell, the Wire’s Jamie Hector, and Pedro Pascal, who most people will know as the guy who had his head opened up by The Mountain in Game of Thrones. The mysterious Outsider makes a return in Dishonored 2, and will now be voiced by Robin Lord Taylor, who plays Oswald Cobblepot in Gotham. Emily Kaldwin, meanwhile, will be portrayed Erica Luttrell, who has lent her voice to games such as Diablo 3, Fallout 4, World of Warcraft, and XCOM 2. And the formerly silent Corvo is now played by Stephen Russell, best known for voicing Fallout 4’s Nick Valentine and lead character Garret in the Thief series.